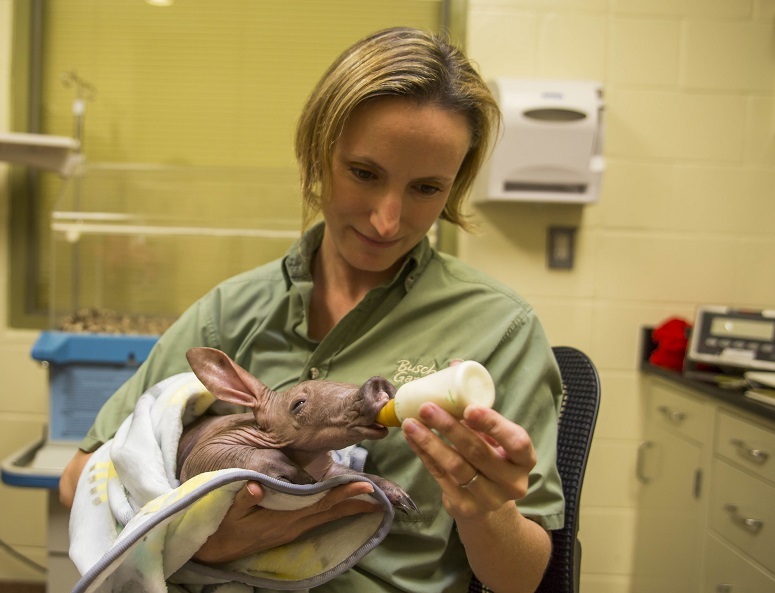 A newborn aardvark at Busch Gardens Tampa is stealing the hearts of all its caretakers, who are helping bottle feed the baby, which they characterize as unusual looking but adorable. The baby aardvark was born Sept. 18, 2015. The baby is healthy and is currently being cared for by its mother Izzy. While mother Izzy forages at night, the Busch Gardens animal care team bottle feeds the baby and monitors its health through routine check-ups. 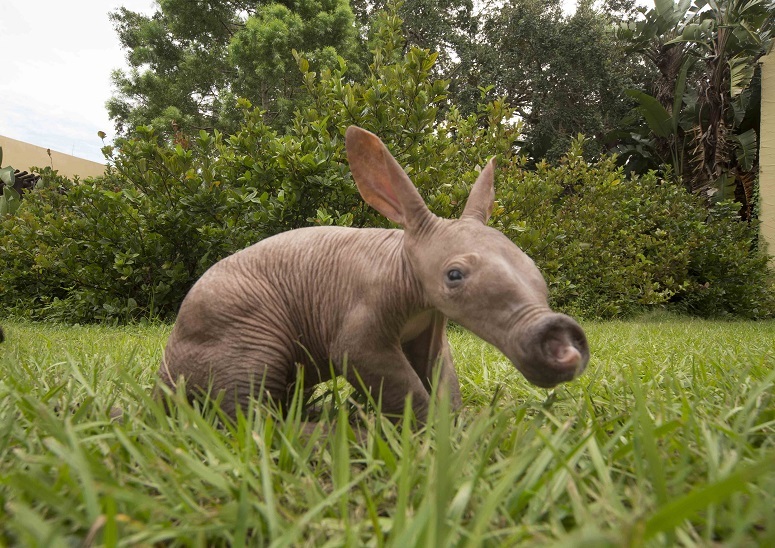 This is Busch Gardens’ fifth successful aardvark birth (another baby Aardvark was born last year) and is part of the park’s participation in the Association of Zoos and Aquariums’ Species Survival Plan. The mother and baby are currently behind-the-scenes at Busch Gardens Tampa. The baby will be part of Busch Gardens’ animal ambassador program, helping to educate guests about this species and their counterparts in the wild.